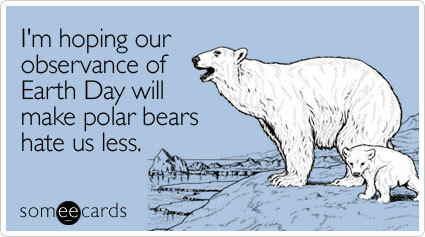 Today is Earth Day, so I thought we could brainstorm some ways to make this world a better place. You can follow my awesome example of mass recycling. The more you drink, the more you’re able to recycle and the wheel (or that silly little triangle logo they use: reduce, reuse, recycle) goes round and round. Remember, Earth: It’s the only one we got! I am a staunch supporter of the cities that have assembled their homeless force (I would have called them workforce, but that seems a little oxymoronic) to wheel their carts around, plucking stray bottles and cans from garbage receptacles. This must continue, but we should groom them and give them rad uniforms and shopping buggies, so that people respect them and don’t just fear the deranged man chasing them down for their freshly purchased pop. Countries should continue to phase out their monetary denominations, thus saving on raw materials like copper, alloy, nickel and paper for bills. Yes, plastic resource use would go up with the increase of debit and credit cards, but there’s tons of that stuff around, so who cares. 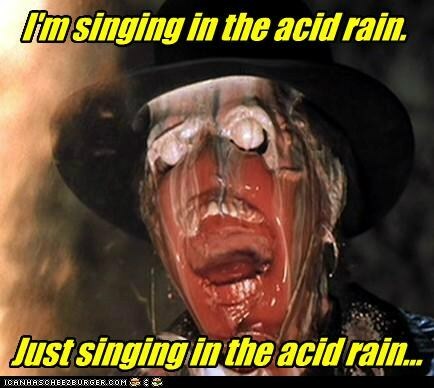 Acid rain should be encouraged as a device to cleanse the world of harmful deposits. Cleanliness is godliness and god is empty, just like me and The Smashing Pumpkins. Not to mention, if Indiana Jones has taught us anything, it works pretty well on Nazis too! Perhaps there is some way to harness the power of farts and turn them into energy. I remember hearing once that cow dung was being looked into for this, as on its own it is quite harmful to the atmosphere. I personally know a few blokes that would make a killing if this technology was ever developed and people could earn a living from their gas. One thing that must change is that it’s more expensive to buy many recycled products compared to their brand-spanking-new counterparts. If I can get something new, for half the price as the recycled option, I think we all know which one the Sip Advisor is going to choose. Heck, it leaves me with more money for liquor. Here’s a toast in honour of Earth, a gal who takes so much crap from us humans and only sends floods, earthquakes, tsunamis, hurricanes, and tornados our way as an even up. You’re a sweet lady and we love you! This drink smells just like a creamsicle… and guess what? It tastes a lot like one too! 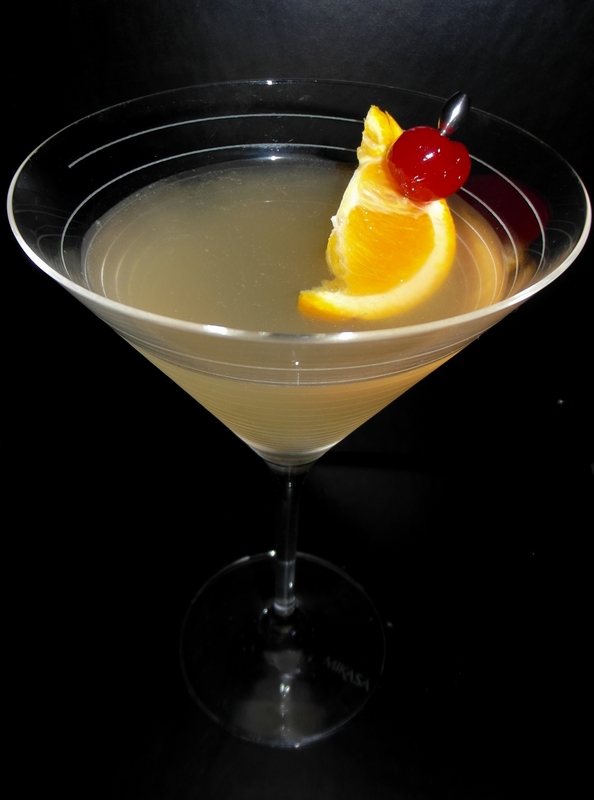 The Apricot Brandy and Cointreau make it a sweeter drink, but it’s nicely balanced by the gin. Drinkers beware, with the amount of alcohol in it this cocktail goes down a bit too easy. Some recipes may differ, but I fully trust the accuracy of Wikipedia. This entry was posted in Martini Recipes and tagged acid rain, Apricot Brandy, blue curacao, Cointreau, creamsicle, credit card, debit card, Earth Day, earthquakes, farts, floods, Galliano, garbage, gin, homeless, hurricanes, lemon juice, lime juice, Maraschino Cherry, money, Moon River, pornographic magazines, recycled products, recycling, simple syrup, Smashing Pumpkins, tornados, triple sec, tsunamis by Daniel Wilson. Bookmark the permalink.